This blog post is by Ron Mori, JACL DC Chapter co-president. 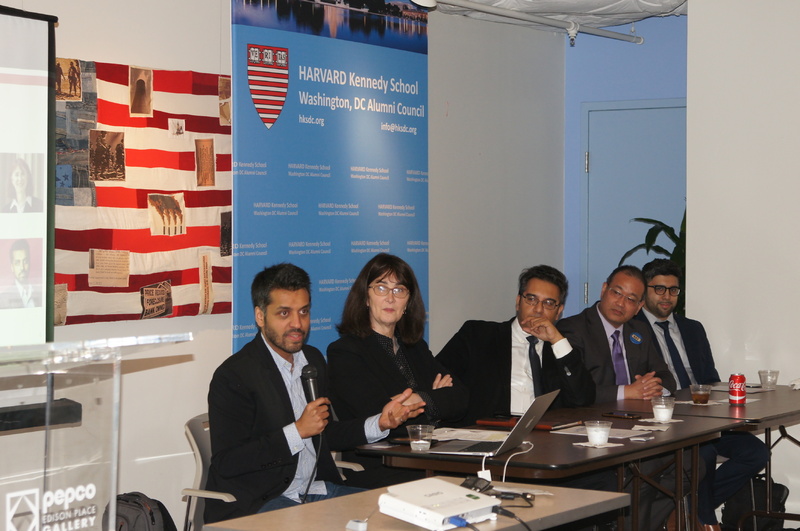 Last week, I had the honor of participating on a panel hosted by the Harvard Kennedy School DC Alumni Council on manufacturing bigotry and Islamophobia. The panel on Islamophobia included powerful insights from thought leaders from the LGBT and Muslim communities, Mara Keisling, executive director of the National Center for Transgender Equality and Zaki Barzinji, former Obama White House Muslim Community Liaison. Each panel member related how important it is to share and learn from our unique cultures through storytelling, the arts, and media. My comments centered on learning from our Japanese American past—never forgetting our shared American history and preventing unconstitutional actions against a group of people due to race, gender, or religious beliefs. 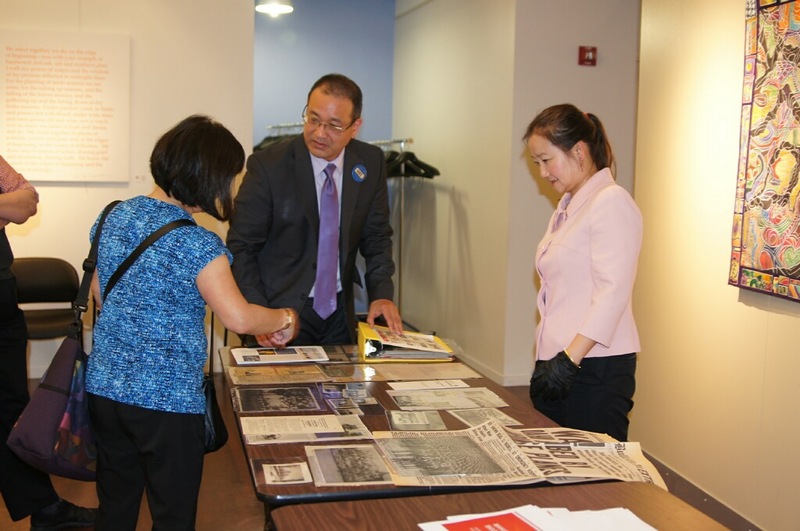 Martha Watanabe from the JACL DC Chapter attended, along with Noriko Sanefuji, museum specialist for the National Museum of American History, to answer questions about an exhibit table at the event featuring photographs and items related to the Japanese American experience during WWII. Several mentions of the new American History Museum exhibit: Righting a Wrong: Japanese Americans during WWII were also made during the discussion. Thank you to the Harvard Kennedy School DC Alumni Council for inviting me to be a part of the group to discuss this important topic. As co-president of the JACL DC Chapter, I hope we will continue to engage in these timely and critical conversations.